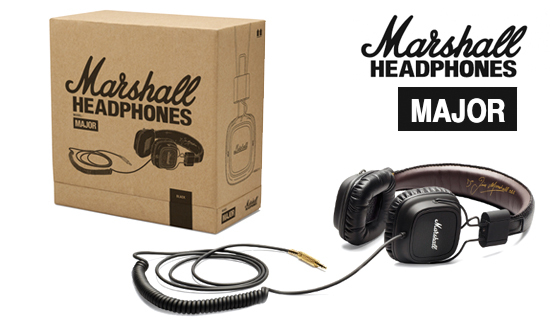 Marshall just got into the headphone business and they are ready to be noticed. Jim Marshall started the Marshall brand in the 1960s during the evolution of Rock N’ Rock his amplifiers are now known in the industry for their rich sound and legendary influence. Hence the new era they are looking to make an impact on the headphone industry just as they’ve done in the past with their amps. I got my hands on a pair of Major Pitch Black headphones which retail around $120. From first glance the phones look very nostalgic in design like something you’d see hanging in a recording studio during the late 70s. The band looks to be wrapped in black jean denim and the ear cushions are super soft with a woven wicker type inard. The construction is fully collapsible so you can easily take them on the go. In addition to the compact design these headphones also feature a built-in mic and remote for usability with your mobile devices. The Major also comes equipped with a 6.3 mm adapter for your use with any sound equipment adhering to the standard. 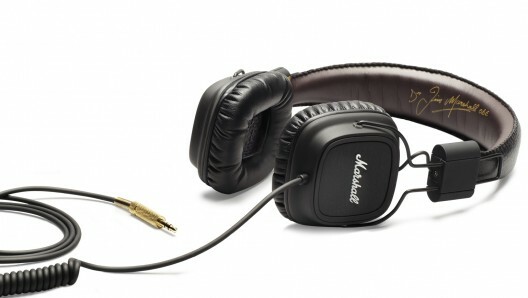 Throwing these headphones over your ears is eargasmic for an audiophile. You come to respect the comfort and the craftsmanship of the design in addition the quality sound that flows out of the cones. Designed with cable management in mind, you can’t get them tangled due the coiled cable design. The gold 3.5 mm plug allows music to pass through at the highest quality possible and you can hear the crispness of the music. The sound that comes out the cones is pleasant, whether you are listening to rock, hip hop, country or blues. Constant listening does not bleed your ears or give you ear fatigue and if you feel the need to crank the volume up there is no noticeable distortion. If you are looking for bass heavy headphones you won’t find them here, Major Pitch Black are an excellent studio quality headphone with a balance across all levels. What you’re getting for the price point of these headphones is nothing short of amazing. I think I’ve found my new favorite set of headphones whether I’m working in the studio, in the office or on my mobile device. When I think of Pitch Black I will no longer think of Vin Diesel thanks to Marshall Headphones and for that I am grateful. 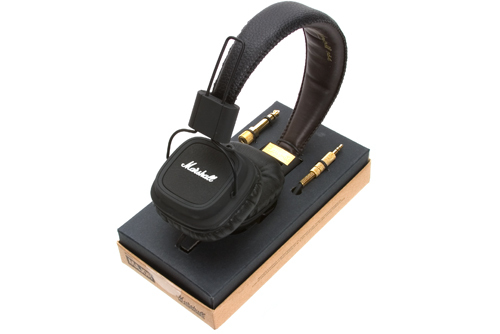 I know understand why Pitch Blacks are the dark horse of the Marshall Headphone brand. If you are a musician, an audiophile, or just a customer looking for an excellent pair of headphones these will contend against anything you put them up against.